Everything You Need to Know about Timed Ticketing: the Spring Break Edition! Add free Time Ticketing: Free of charge, book a special time during the day to visit the pandas during spring break (March 22-31). Select your arrival time to visit Panda Passage, and enjoy a fast entry to the habitat! Time tickets allow you to skip the lines, and know exactly when you’ll gain entry to see the pandas. What is a timed ticket? To ensure you have a great experience and to reduce your waiting times, the Calgary Zoo is offering a timed ticket service, where you can pre-select a panda viewing time during your visit. Do I need a timed ticket to see the pandas? No, all guests have the opportunity to see the pandas, but tickets allow you to pre-select your time. Those that don’t have a time ticket will enter the general queue, which can average between a 15 and 30 minute wait depending on how popular the day is. What are the time frames that we can choose? Timed tickets are issued between 10:00 a.m. and 4:00 p.m. daily, in half hour increments. On weekends we can sell out by noon, so we recommend booking your ticket online when you purchase your zoo admission or use your membership account in advance. What is the price for timed tickets in addition to the daily admission rate? There is no cost for timed entry tickets! If you are purchasing your daily admission tickets online, you can select your timed ticket at the same time. Members can get their timed tickets anytime by logging into their accounts online. 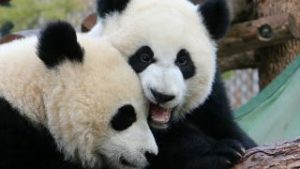 You may still visit the pandas with general admission if you choose not to pick a time online, however the zoo cannot guarantee access if you do not pre-select your times. Will members require a timed ticket? Inspire and Engage Members have an exclusive viewing time from 9 – 10 a.m. daily. Entry during this time does not require a timed entry ticket. If visiting the zoo after 10 a.m., Members don’t require a timed ticket, but are free to obtain one if they wish. Please select your timed ticket by logging in online or visiting Guest Relations or other distribution points at the zoo. How will the timed tickets be made available to customer? Do guests need to check in at Panda Passage before their assigned time? You don’t need to check-in in advance at the habitat with your timed ticket. We encourage you to explore the rest of the zoo and to only arrive at Panda Passage within the time assigned to you on your ticket. Please do not arrive early for your time. I’ve missed my assigned time? Do I miss out? No! Time ticketing’s purpose is to assist visitors who wish to enjoy a streamlined visit at Panda Passage. 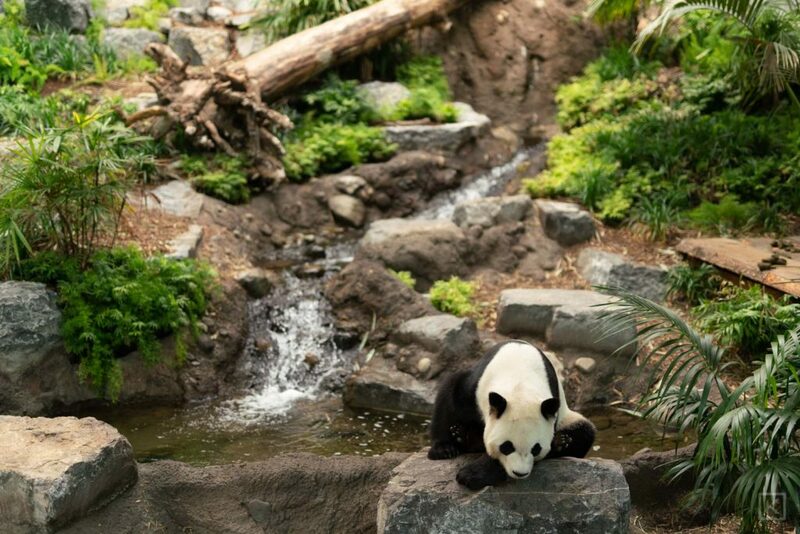 By visiting outside of the time, visitors will still enjoy Panda Passage, just with the rest of the visitors.